Most dog owners recognize the fact that it takes a lot of time and money in order to adequately care for a canine companion, and in order to ensure their continued health and happiness. However, the demands that normal life can place on your time can often force you to set aside the importance of devoting some one-on-one time to your dog each and every day. This time is actually extremely important, not only for your dog, but for you, and it’s very important to always ensure that you are making time to interact with your dog. Following are five exact reasons why. Dogs can help one learn how to deal with stress. When life becomes intense and busy, it is easy to get swept up in the moment and neglect the simple actions that can help you deal with stress. If you watch your dog, you’ll notice that he generally takes his time in life – stopping to stretch, smell the roses, interact with others and drink lots of water. If we spend time with our dogs and then mirror their actions, we will benefit greatly as we stop to stretch, smell the roses, interact with others and drink lots of water. This can help us to relax our minds and bodies, and disconnect from the stressful situations we find ourselves in. 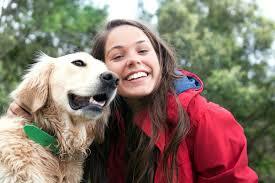 Dogs can help one reach out and build healthy relationships with others. Obviously, being a dog owner means taking one’s dog out regularly to parks, on walks and perhaps even on errands. Chances are that you will run into other people who are doing the same, and who will enjoy speaking with you, perhaps first about your dog, and then perhaps more generally about you, sharing your interests with another. You may find a good, new friend through these encounters – expanding your own social relationships and perhaps even overcoming any social anxiety or awkwardness you may have once felt. Studies show that dog owners have healthier hearts. 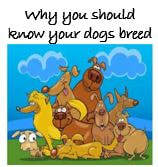 These studies have indicated that dog owners have a lower risk of dying from cardiac diseases, including heart failure. Since heart disease is the number one killer of men and women, anything that helps to keep our hearts healthy is greatly beneficial. Furthermore, there are few things that can make the heart swell as much as seeing your canine companion do something adorable. It’s easier to maintain a regular exercise regimen with a dog. Dogs need regular, daily exercise, and can cause trouble for their owners when they don’t receive it. For the individual who may find constant excuses for putting off a trip to the gym, or even a morning walk or jog, owning a dog can be the right impetus needed to establish and adhere to a regular exercise regimen. A hike, run, brisk walk or even game of fetch can engage one in heart-rate-improving exercise, and allow one to experience the benefits of a healthier, more-active lifestyle. There may be many reasons for why one benefits from the companionship of a dog, and many dog owners are well aware of these points. However, the amount of time that one actually spends with their dog can so markedly increase the benefits that it is well worth it to make more time, every day, for your dog. Anyone who lives with and trains dogs is aware that dogs are almost universally attracted to meaty foods and treats. The more you study the behavior of canines, the more you’ll recognize that genetics play a big part of any dog’s attitude, and possible health concerns. ​If you've noticed that your dog doesn't run to the front door when you pull out his leash, or maybe he's a lot slower getting down from the couch, he could be developing arthritis.